Spurgeon gave The Greatest Fight in the World almost as a last word to impart to his followers in the faith his belief in the armoury of the Scripture, the armour of the church, and the strength that God gives us to fight. Be encouraged and empowered to take up your sword and join the fray of the Christian life. This powerful advice to Christians is a battle charge for living the faithful life whether in Spurgeon's day or in ours. 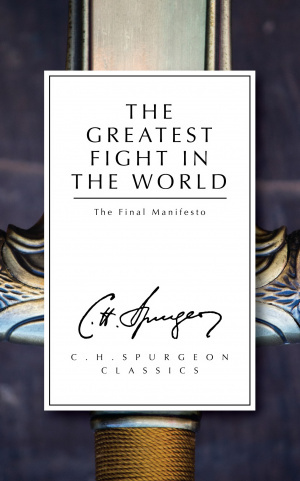 The Greatest Fight In The World by Charles Haddon Spurgeon was published by Christian Focus Publications in January 2014 and is our 24993rd best seller. The ISBN for The Greatest Fight In The World is 9781781913291. Be the first to review The Greatest Fight In The World! Got a question? No problem! Just click here to ask us about The Greatest Fight In The World.